Beavers are our youngest members, aged between six and eight and generally meet for an hour a week. 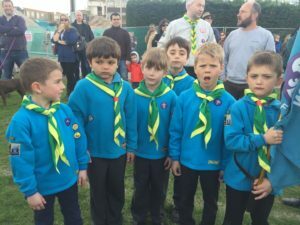 Beavers will usually meet once a week every Friday from 6.30pm – 7.30pm with the occasional weekend trips and events. We receive many enquiries from parents who want their child to start Beavers. If you would like to enroll a beaver, please complete this form.